Superior Illumination and Uniformity. 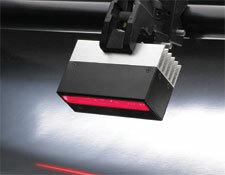 Because of their high intensity and excellent uniformity, these linear lights are uniquely suited for high-speedvision inspection applications. A heat sink is included with each illuminator to maintain performance and optimize lifetime. Built-in current regulation electronics helps maintain uniformity across. the entire array.